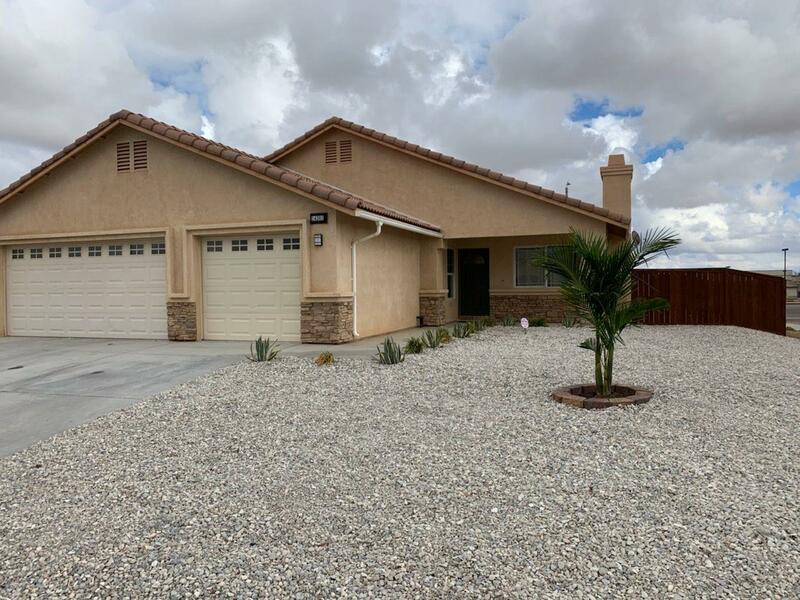 **Turn Key Ready** This Beautiful Large Corner 4 Bedroom 2.5 Bath Home Three Car Garage Amazing Mountain Views From Inside Windows And Back Yard. Is A Must See. Stunning Floor Plan, As You Enter The Home You Are Welcomed With A Cozy Fire Place In The Living Room. The Kitchen Family Room Open Floor Plan Is Perfect For Family And Guest Entertainment. Beautiful Sparkling Counter Tops, Laminate Flooring Throughout The Home, Tile Flooring In Bath Rooms, Indoor Laundry, Master Room Bathroom With An Amazing Walk In Closet. Outside Front And Back Yard Rock Landscaping For Low Water Use And Maintenance. Middle School Right Across The Street On Aster Rd. Close Commute To The I 15 Off Of The 395, Less Then 4 Miles To Shopping Plaza's On Both Corners Of The 395 And Palmdale Stater Brother Grocery Store, Super Walmart, Endless Restaurants. Come Make This Family Dream Home Yours Today. Directions: Palmdale Rd. To Aster Make A Right To Celesta St. Left Home On The Right Hand Side Corner First Home.